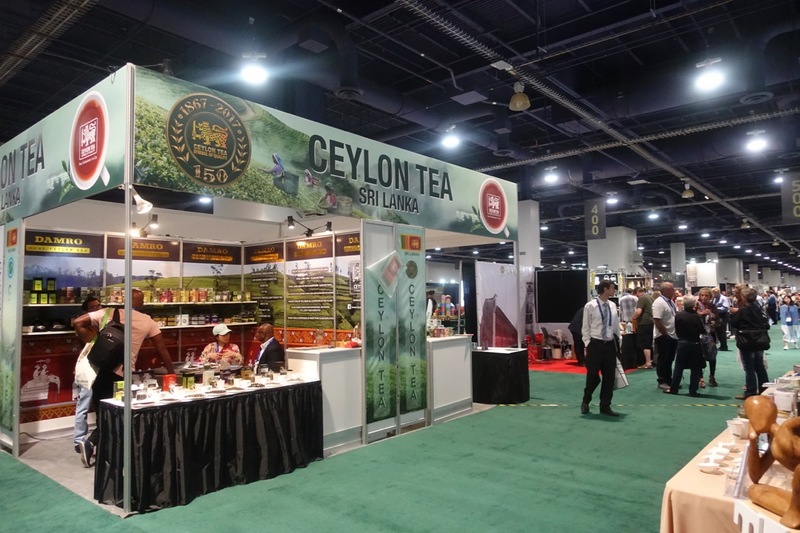 Among the many countries represented at World Tea Expo was Sri Lanka, famous for his Ceylon tea. New words, new tastes — they are all part of World Tea Expo as experienced by this non-pro in the world of fine teas. World Tea Expo, held June 12-14 at the Las Vegas Convention Center, is actually a business-to-business event with tea buyers and sellers coming together for education and business transactions. The trade-show portion of the event is not open to the public, but features hundreds of booths, almost every one of them offering samples of fine teas. For non-tea groupies, the variety of countries growing tea, including herbal teas, is always a surprise. Teas and their related products come to World Tea Expo from throughout the world. 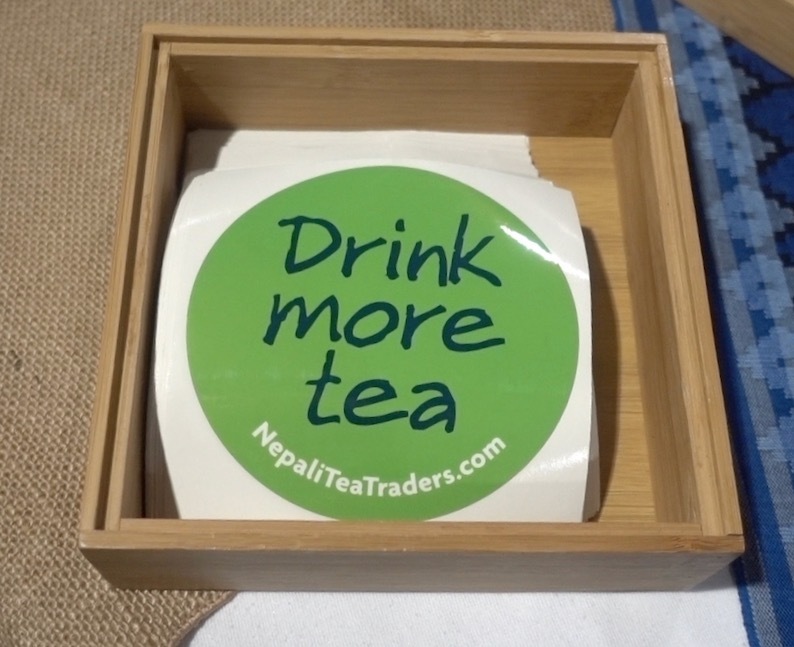 My experiences at World Tea Expo are recounted in the attached video, but suffice it to say, I was able to taste teas and supplements of many kinds, and I am grateful to the exhibitors who took time to explain even the simplest tea concepts to me. I even was able to secure a few “to go” tea samples, and I plan to enjoy them all. Visitors to the Napali Tea Traders booth could take a sticker advertising their feelings about tea. In addition to individual classes, World Tea Expo 2018 offered a two-day World Tea Academy (taking tea professionals to the next level) and a one-day Tea Business Boot Camp (a solid foundation in tea education). World Tea Awards on Tuesday honored winning tea industry leaders and innovators. Another unique feature of World Tea Expo was that Wednesday and Thursday mornings at 7:00 a.m. in the Las Vegas Convention Center South Hall lobby, a morning yoga class was available for up to 25 participants. Is here also a Japanese green tea? I would like to taste the real one, straight from Japan. I’m interested especially in matcha. It’s not so easy to serve it in a right way. And from what I’ve heard, it’s delicious.